The Destroyer Arrives March 3rd? Well isn’t it fascinating that I “just” wrote an article that the Lord has laid the “Planet X” issue heavily upon my heart and “this just in”? Last night I had dreams about “Planet X” issues. I woke up with this “Planet X” deal “on my mind”. And before I could finish writing the article about “The Elect”, a Tribulation-Now contributor sends me an instant message urging me to watch a You Tube video he just sent. He warned me, if it’s true, time is WAY SHORTER than we think. God Bless You Chris!! She has further announced that there is LIFE on Planet Nibiru and it is considered to be a type of “prison planet”. Never mind “the abyss” referred to in Revelation 9 and the release of the Locusts, which I maintain may very well be located on “Planet X”. But only God Himself knows this for sure. Could this be a Hoax? Absolutely. And the Von Helton transcript below makes his position perfectly clear. 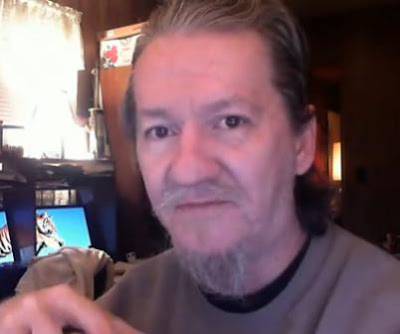 But also note that Von Helton is one of the leading Internet reporters on “vibrational shifts” that reveal grey and reptilian entities and is absolutely CERTAIN we face an alien invasion very soon and that they “walk among us” already. So without further ado, I present to you the information and partial transcript of this data presented by Von Helton on You Tube. Note: The following transcript is edited to include only the most important information and disclaimers by the presenter. To hear the complete presentation, the You Tube link will be provided below. “As a reporter sometimes you have to put things out there that are not true. Sometimes they are true. I was sent a notice, is it true? Hell I don’t know. But I’m gonna report it. Just on the up chance that it might be true”. “After I read this letter people are going to swear up and down, “Von Helton Said”, … NO VON HELTON DID NOT SAY. This LETTER SAYS! Could this merely be somebody seeking their 15 minutes of Internet fame? … YES ABSOLUTELY. However it is just as likely it could be legitimate. I don’t know. Now the funny thing about this letter is it’s very specific, lots of names and dates, … and because of the (specificity) of it … I’m wondering if it doesn’t have some credence to it. So without further ado, let’s go ahead and read this. It’s entitled “IMPORTANT-PLEASE READ”. I currently reside in the South Pole, and work for the government. I am a scientist and I’ve been hired by NASA to track Planet X. Currently Planet X is visible to the naked eye here. However the governments do not want us to make anyone aware. The event in question is due to happen near March 3rd. Due to miscalculations by a Russian scientist, our data had to be re-calculated. Mr. Helton, you must prepare and let the people now that they must be prepared by March the 3rd, 2011. Planet X is also visible in the South West and on the West coast. The government has been ordered to remove any videos, pictures, or stories on line with visible evidence of Planet X. Planet X has been officially named by the governments as D 2 3 K 9. (spaces added). This planet is visible and does have life. It is not life as we know it, but viable life. The life there is intelligent, and our government has been in contact with the occupants of D 2 3 K 9. Mr. Helton it is of great importance that you warn the public, and let them know of the events of March 3rd. Attached is a picture of D 2 3 K 9 as seen from one of our military bases in the western US. I will be in touch with you and provide you, and only you, with videos and files to verify what the governments are doing. All I ask in return is that you send the message out. (signed by username but not disclosed). “Could it be, like I said, someone seeking their 15 minutes of Internet fame, sure … ABSOLUTELY. But then again …. IT COULD BE REAL. He then goes on to make it extremely clear HE is not saying March 3rd, but the writer of the LETTER says it. He reminds people that he sent out a video that “Michigan is literally cracking apart” and Yellow Stone is “bulging”. He also points out just recently a “HUMONGOUS” volcano in Iceland could erupt at any time. You might want to download it immediately. WOW AMEN AMEN!! COME JESUSSSSSSS!! the closest proximity (mid October 2011) and the proximity on March 5.
further away from Earth than the actual path, or that the model is wrong. images will be reflections in the camera lens). maybe it was Photoshopped.. who knows?). May God continue to guide you! I Know Jerry … stay tuned… God is in Control but I am so excited ready anyway. Amen. The only thing Jerry that causes me caution, is that NASA is a lying demonic black ops organization. I don't and never will trust ANYTHING that come from "them". Amen. God has been seriously been dealing with me in ways that I cannot describe, all because I asked him to open my eyes. Now when I open my Bible, its like looking at one of those pictures with all the little dots. Just looking at it, you cant see the mystery hidden inside. However, now that he has opened my eyes, the picture pops right out! And it all makes total sense! Many of us are going to feel like Noah, But I think this is our chance to get out there, and tell everyone that He is coming! Who cares if they think I am crazy, after all, everyone thought Noah was crazy too…..right? AMEN PRAISE JESUS FOR YOU!! !